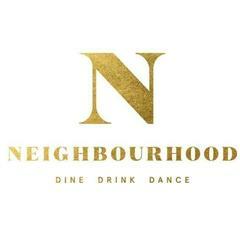 Who we are<br><br>A New York inspired, cutting edge designed restaurant, bar and entertainment venue.<br><br>Neighbourhood isn't just about great food, live entertainment and exciting drinks. It's about creating amazing memorable experiences, the only place you are guaranteed a fantastic time.<br><br>Neighbourhood is one of the brands of East Coast Concepts, having recently secured substantial investment we are looking to bring a new Neighbourhood to Cities across the UK, meaning there is massive opportunity to grow within a fun and eccentric brand.<br><br>What we look for<br><br>As well as having relevant experience our employees are hedonistic, forward thinking individuals with a can-do attitude, who love to win. They aspire to be the best in every area of their work and above all know how to have fun.<br><br>What you get<br><br>Competitive pay<br>35% discount across the group<br>28 days holiday<br><br>If you'd like to join the team please apply. Neighbourhood - Leeds is posting their hospitality jobs on Harri.